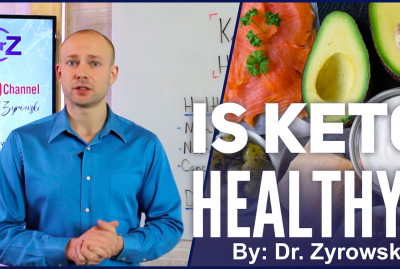 [Video] How To Start The Ketogenic Diet | What You Must Know! How To Start The Ketogenic Diet is a definitive quick start guide that tells you everything you need to know about correctly following the ketogenic diet. Ketosis and the ketogenic diet are very trendy right now, and for good reason. There are so many health benefits associated with ketosis. I find that many people need help with starting the ketogenic diet. I also see any individuals who say they are following the ketogenic diet are following some odd variation that is not the ketogenic diet at all. 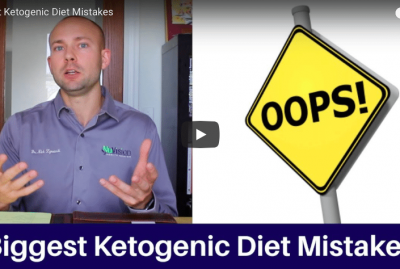 This is why I believe a video on the ketogenic diet for beginners was necessary for my clients and followers and why we created the how to start the ketogenic diet guide. 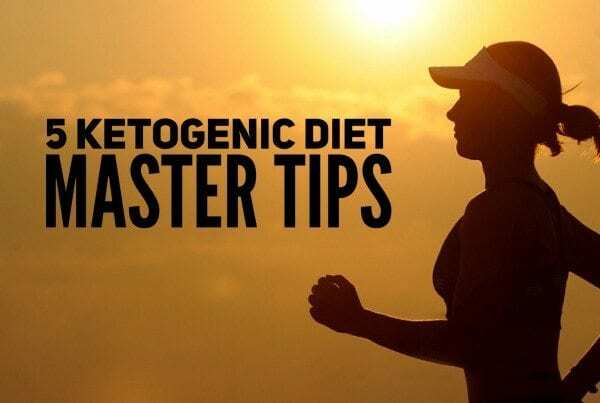 If you want to know how to do the ketogenic diet properly, it starts with consuming the proper foods, the proper vegetables, fats, meats, and sweeteners. These foods are specifically chosen to be low in carbohydrates and high in nutrients content. 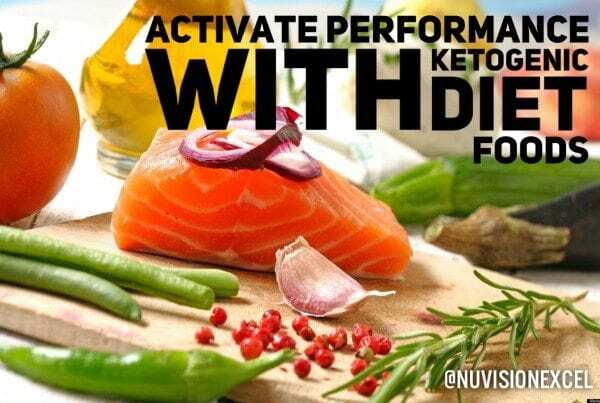 The keto diet is a very nutritious diet as it specifically focuses on nutrient dense foods. In this video I don’t talk about every food you can eat while on keto, but I give you the top foods that people are eating as part of how to start the ketogenic diet. This is a great starting point for keto beginners. I recommend buying a keto cookbook and I picked out one of my favorites. It will allow you get meal plans and tons of great recipes that you can enjoy daily. A good cookbook will also give you further insight on all the foods you can have while doing the ketogenic diet. In this video, I’m going to give you a comprehensive breakdown as to how to start the Ketogenic diet. Hi, I’m Dr. Zyrowski from NuVisionExcel.com. If you’re new to the channel, as always, it’s a pleasure to have you here. Be sure to subscribe, hit that little bell notification, and I’m going to help you excel your health and your life. 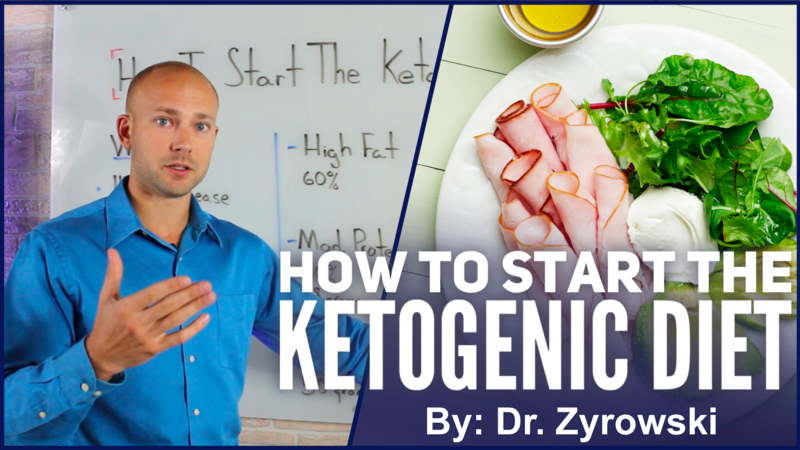 In this video, we’re talking about how to start the ketogenic diet. This is a big question a lot of people have. As a matter of fact, I see a lot of people who tell me that they’re following the ketogenic diet and then as I ask them more details, I find out whatever they’re doing, in fact, isn’t the ketogenic diet at all and they’re kind of lost because a lot of resources out there on the ketogenic diet are bits and pieces. So, the intention of this video is to kind of break it down from A to Z and tell you everything you need to know. We’re going to talk about why you do this and why people follow the ketogenic diet. We’re going to talk about the breakdown of the macronutrients, what you need to avoid and then, after all that, I’ll clear this and we’ll talk about the foods that you need to consume while on the ketogenic diet to help you get jump started. Ready to learn how to start the ketogenic diet? First of all, when we look at the ketogenic diet, a lot of people ask, “Well, what is it?” Essentially what it is is it’s changing the way that your physiology and your body is working. So, instead of burning sugar for energy, your body is burning fat for energy. Most people who are on the standard American diet or on any standard diet are consuming a diet that is very high in carbohydrates and a diet that is very high in sugar. So that means that their body is burning sugar for energy. Now when you switch, and you start following the ketogenic diet, what happens is you’re taking those carb out of your diet, you’re taking that high amount of sugar out of your diet and you’re adding a lot of fats into your diet. So, as a result of that, your body starts burning fat for energy. So, what happens is your liver starts breaking down fatty acids and turning them into ketones. These ketones are used by the body for energy. They’re used by the brain for energy. Now, this is considered to be a much more efficient fuel source for the body. People who start following the ketogenic diet, they feel that they have more energy, they feel that they don’t crash as much. They feel that they have pain that just starts to melt away. Well, the “why” behind it is because, first of all, when we start following the ketogenic diet, we start decreasing inflammation in the body. Now, as you may know, if you’ve listened to some of my other videos, inflammation is the root cause of many of these different diseases. First, it starts with an inflammatory problem in the body and then from there, it spirals off into many different health conditions like heart disease, cancer, Alzheimer’s, Parkinson’s, Polycystic Ovarian Syndrome, neurological conditions and also epilepsy. So, when we follow the ketogenic diet, people are recording that not only if they had these conditions they’re able to start reversing them and start seeing great progress in the recovery of this disease, but what they also find is that their biological risk factors for these different diseases start to go down in a big way. Keep reading our how to start the ketogenic diet guide! So, following the ketogenic diet is scientifically proven to reduce the risk factors of many of these different conditions right here and many more that are not even listed on the board. Another reason that a lot of people really like following the ketogenic diet is because it is incredible for weight loss because what happens is when your body starts burning that fat for energy, it starts burning the fat all over your body for energy and as a result of that, you lose a lot of weight. So, now that we’ve covered that, let’s go ahead and talk about the macronutrients here and how they are inportant for our how to start the ketogenic diet guide. So, what this is, is a 3000 ft overview of how you’re going to eat while on the ketogenic diet. Let’s go ahead and get started with this. First, we’re going to consume high fats. I already told you this is a high fat diet. We’re going to consume a lot of really good quality fats. Next, we’re going to consume in this diet moderate in protein and low in carbohydrates. When we break this down percentage wise, we’re going to be right around 60% fats, we’re going to be right around 30% proteins in our diet, and then 10% of our diet is going to be carbohydrates. So, now let’s go ahead and break that down even a little bit further. Let’s start with the protein. When we’re looking at how much protein we should consume on a daily basis, what we do is we look at your lean body mass. So, I’m going to give you a quick way to figure this out. Let’s say you’re 180 lbs. and you feel that you have 10 lbs. that you can lose or maybe even 20 lbs. you can lose. So, that puts you at a 160 lbs. In order to figure out how much protein you should consume, you take 160 x 0.8 and that will give you the rough estimate as to how much protein you should consume on the ketogenic diet. So, there are more precise ways to go and figure out your lean body mass but once again, I’m trying to get you started so let’s go ahead and use the method that I just mentioned there. Now, when we look at carbohydrates, what we want to do is we want to be at 50 grams or less of carbohydrates. The reason I didn’t mention fat yet is because what I do is I tell you to figure out the protein, figure out the carbs and then fill the rest in with fat. So, as I already mentioned, this right here is a good rule of thumb to go off of, but the thing is, is that everybody’s body is different, and everybody’s daily activity is different, so this will vary. If you’re an athlete and you’re performing at a high level, you might need more protein, you might need a little bit more carbs, you might be able to handle more proteins and carbs and not fall out of ketosis. Maybe you’re someone who’s sick and you have some insulin resistance issues. Almost anything’s going to throw you out of ketosis in the beginning. So, here’s the deal. It will vary based on you, based on your physiology and what I’ll do at the end of this video is I’ll give you some tips as to how you can really dial in and know whether you’re in ketosis or not based on some different apps that we can use and some different instruments to measure the ketones in our blood. This is why it is so important to learn how to start the ketogenic diet! As a rule of thumb, this is a great place to start but it will vary based on the individual. Once you become good at ketosis, you’ll really be able to dial yourself in. Let’s talk about some of these foods here that you need to avoid. So, the foods that you need to avoid while on the ketogenic diet are, first of all, high sugar foods. Then, second of all, high carb foods because if we’re consuming a high amount of sugar and a high amount of carbs, we can’t be in ketosis. Our body will switch from that fat burning state to that sugar burning state, knock us out of ketosis and all that hard work is done for. When we look at foods that we need to avoid, we’re going to think bread, pasta, bananas. Now, bananas are on there because we’re referring to high sugar fruits. So, high sugar fruits would be grapes, oranges, bananas, so on and so forth. Then, we also want to avoid sugary drinks like sodas, juices. I know that it comes from oranges but it’s still a high amount of sugar or any other type of juice. Then, we also want to avoid candy and beer. Okay, so now that we’ve covered this here, let’s go ahead and talk about all the foods that you can have while on the ketogenic diet and also talk about the different bonus tips I have for you to make this so much more manageable. Let’s go ahead and have a look at some of the top foods and beverages that people are consuming while on the ketogenic diet. Now, this isn’t designed to be a comprehensive guide but a quick start guide to give you the top foods and beverages and if you’re already on the ketogenic diet, it’ll be a little bit of a refresher for you. So, first of all, when we look at the different beverages that people are drinking while on the ketogenic diet, we’re sticking to water. We’re drinking coffee with a little bit of cream or just completely black. Also, tea, and then, dry red wines and then, apple cider vinegar drinks. 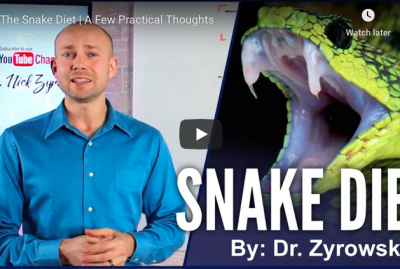 As a matter of fact, I did a video on this on a great apple cider vinegar drink that I really like that you can consume while on the ketogenic diet. I’ll put that in the description below. So, check that out. Anyway, this is what people are really sticking to in the way of beverages. Now, when we look at fruits. The fruits that people are consuming while on the ketogenic diet ideally, is berries. The reason that we stick to berries is because while on the ketogenic diet, we want to keep our sugar levels low in our body and berries are low in the glycemic index. Now, berries are also high in antioxidants and nutrients so you’re kind of getting more bang for your buck there. So, concerning fruits on the ketogenic diet, just think berries – strawberries, blueberries, blackberries, raspberries, and all the different berries out there. When we look to some different nuts which are really great to snack on, we’re looking at nuts such as pecans, macadamia, and Brazil nuts. These are really great because they’re low in carbohydrates but also, they have high amounts of fats on as well. So, these are some really great snacks to have and also great foods to eat while on the ketogenic diet. When we look to the meat, one of the things that we’re going to consider here is we want to always have pasture-raised or organic meats. The reason that this is important is because we don’t want to be consuming these meats that are coming from farms that are using different pharmaceuticals on their animals and also farms that are using a lot of GMO crops and different pesticides and all those things in the feed that they’re giving to their animals. We also just want to make sure that we’re eating sustainable food as much as we possibly can. When we look at the meats, we want to consider beef, chicken, lamb, and also wild game. Those are some of the best meats to have while on the ketogenic diet. Moving over to vegetables. When we look at vegetables, we want to think above ground vegetables. Above ground vegetables, once again, very nutrient dense but also, the other thing that’s great about them is they’re low in carbohydrates which is important on the ketogenic diet because we’re going to be consuming a lot of vegetables, but the low carb ones are going to be the best. So, we’re looking at vegetables such as cauliflower, cabbage, avocados, broccoli, zucchini, spinach, kale, and also green beans and Brussel sprouts are great too. Once again, this isn’t all the vegetables that you can have, but these are some really great ones. Let’s go ahead and take a look at the different fats you can have on the ketogenic diet and also, the different sweeteners and the bonus tips that I want to share with you. The top fats that people like to consume while on the ketogenic diet are fats like butter, heavy cream, cream cheese, olive oil. Your high-fat oils are going to be very powerful on the ketogenic diet because they are very high fat, so you can sprinkle some olive oil on your salad, use it as a dressing, coconut oil’s great for cooking with, avocados are really great, too, and then, I also included eggs on here. Now, eggs aren’t just a fat alone, they are high in fat but they’re also high in protein and I included it here just simply because I didn’t put it anywhere else. Many people who are on the ketogenic diet really like to eat a lot of eggs. The next topic here is sweeteners. Now, remember, while on the ketogenic diet, we are in the metabolic state of fat burning. We’re burning ketones for energy and if we consume sugar, it’s going to throw us out of the state of ketosis. So, what we want to do is we want to actually use sweeteners that taste sweet, that give the perception of sweetness, but they do not raise our insulin levels and they do not raise our blood sugar levels. If they do raise them, raise them in a very, very minimal amount compared to the different cane sugars and other things out there. So, first here, stevia is a great one. Monk fruit is also a great one to use. Many people like these two as their favorites. The others one that you can use are erythritol and xylitol. These are sugar alcohol. Some people don’t do that well with them. A lot of people tend to shy away from them. I personally use them because they don’t affect me negatively in any way. Anyway, these are great sweeteners to use while on the ketogenic diet. Let’s talk about a couple of the bonus tips that are going to make following the ketogenic diet so much easier for you. First of all, there are a couple of apps that you can use. You can get your phones, download these apps and it’s going to help you manage the diet much better. First, the Carb Manager app is really great because it’s going to allow you to see what you’ve eaten and also just manage the foods that you’re eating in the beginning because when you first start the ketogenic diet, you’re going to be kind of just trying to wrap your head around it and how much of this that I eat, and how much of that. Eventually, once you’re good at it, it’s just going to all be in your head as far as what you need to do. You just know. So, Carb Manager app is very powerful for tracking food that you’re eating. The Cronometer app is really great because when you’re looking at trying to identify how much fat is in different foods and how much protein and so on and so forth, and how many carbs, the Cronometer will break that down for you. For instance, you can take an avocado, how much fat’s in it, how much protein’s in it, how many carbs are in it, and that will break down food for you and it’s going to be very important when you first start doing this. Now, the other thing that I want to mention here is, first of all, you should take a multivitamin while on the ketogenic diet. It’s good to just have good nutrients flowing through your system during this time and so taking a multivitamin is good. The other thing that you can do is you can just make sure you’re consuming a lot of good Himalayan pink sea salt. Put it on your avocados, put it on your meals, make sure you increase your sea salt intake because you’re going to need those extra electrolytes, or you’ll crash. Now, another couple bonus tips I’ll mention. I have a few that just came up off the top of my head. So, first of all, I had mentioned to you when you start the ketogenic diet, you’re going to have to just kind of move different percentages of foods around and you’re going to also have to maybe, have more protein or less protein. You really have to figure out what’s right for you. You can use the Precision Xtra meter which is a way to measure ketones. So, you basically use your blood, you’ll measure the amount of ketones that are in your blood and then it’ll tell you whether you’re in ketosis, whether you’re not, how deep you’re into ketosis. Anyway, using the Precision Xtra meter is going to be powerful and then you’re going to be able to kind of mess with your percentages of foods and figure out where you need to be as an individual. Once again, you’re going to find all the different variables out there as to where you need to be. You’re going to see different percentages but at the end of the day, it’s all about you, it’s all about your physiology, it’s all about your activity level. Along with the Precision Xtra meter to measure ketones, I really recommend getting a good diet guide as far as a cookbook that is just a 100% keto based that’s going to give you a lot of different recipes and maybe even some meal plans. When we look at Pinterest, for instance, you can go to Pinterest and type in a lot of different keto ideas and they’ll have a ton of recipes that will pull up. I found one of my favorite fat bomb recipes for the ketogenic diet right on Pinterest. One of the things you do need to caution yourself when it comes to Pinterest is that there are a lot of things that claim to be keto that is not. My wife and I went through Pinterest and found a lot of stuff that there was just no way it was keto. Matter of fact, it would knock you out of ketosis. So, this really wraps up the quick start guide and the 3000 ft overview of what the ketogenic diet is and what ketosis is. Be sure to like this video, share it with your friends because they need to see this as well. Like I said, many people aren’t doing the ketogenic diet properly. They’re doing something that is just totally out there but it’s not keto. Subscribe to my channel, I do greatly appreciate that. 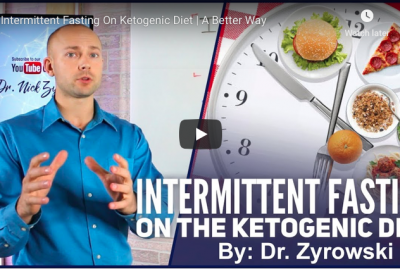 Check out my other videos on things like intermittent fasting and one meal a day because that’s also very powerful when you’re following the ketogenic diet. I’ll see you in the next video.